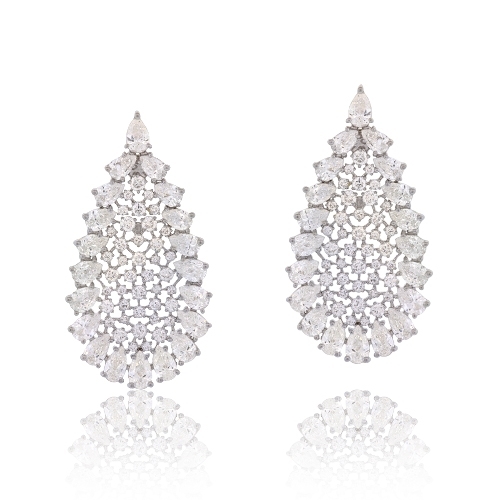 Exquisite diamond earrings composed of round full cut brilliant diamonds framed by pear-shaped diamonds prong set in 18k white gold. Diamonds approx. 8.88ct. Earrings 1.5"